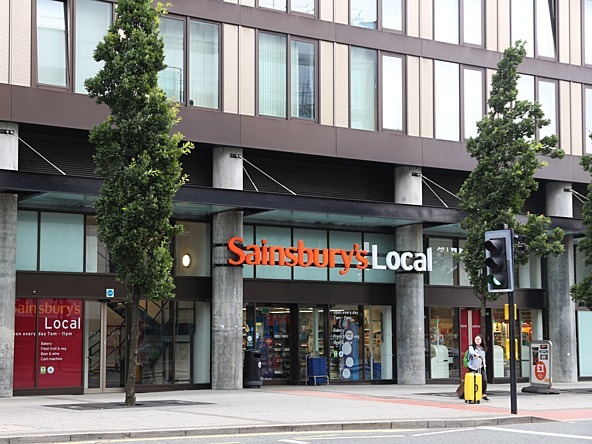 After a week of retail results, C Space’s Richie Jones looks at the changing landscape for the supermarkets and how it'll take more than mergers to keep Sainsbury’s on top. Sainsbury’s results last week rounded off a tense week for UK retail – not that every other week is exactly relaxing. This is surely the most competitive year in the history of grocery as players vie for advantage before Brexit. The sharp end-of-year decline in spending is made more alarming thanks to a summer that already feels mythical, as we basked in endless sunny days and England reached the semi-final of the World Cup. Manna from heaven for supermarkets. But when reality hits – Brexit-induced uncertainty, a surge in online shopping, Amazon flexing its muscles offline, stagnant wage growth, high inflation – it hits hard. So, Sainsbury’s profit surge is great news… but who for? While the retail outlook in general seems bleak, the jostling between the supermarkets has been most interesting. Aldi and Lidl doubling their market share to 13.1% in the past five years has been a wake-up call for the ‘Big Four’, and the reactions from each have been significant. Sainsbury’s announcing its merger with Asda is a big deal, Morrisons is making a slow but steady improvement following a very targeted re-haul of its strategic focus, and Tesco has announced its new discount chain Jack’s to compete with Aldi and Lidl. It’s nice to see fire and energy coming to the fore as they evolve smartly to battle for market share. It’s like they’re realising what the average person always knew – when it comes to affordably feeding your family, nothing else really matters, so you’d better do it right. A lot of the focus is on price, obviously. But will tunnel vision on price be enough in the long-term? Sainsbury’s optimistic half-year results are being attributed to its Argos takeover, and now it’s well into the next move – the controversial merger with Asda, which chairman David Tyler has already publicly defended. He says the rationale behind the merger is to create the savings needed to lower prices for consumers. Price is a huge influence, but other factors are contributing to the modern British public deciding where to do their weekly shop. Customer expectations and trust are a huge portion of brand engagement and loyalty. If, like with many a merger before it, there’s a widespread job cull across both supermarkets the consequential negativity and backlash could reverberate across its customer and employee base and risk disaster for the brand, regardless of the prices on the shelves. Redundant employees are shoppers (shoppers without income, so thanks for that), their families and friends are shoppers too. Multiply that by the internet and you have a problem. In the rush to be number one, supermarkets mustn’t lose sight of what is important: trust, integrity, reputation, relevance and empathy. Things you can disregard when you’re number two, three, four, you have to get on top of when you’re number one. Adapting to beat the competition should be about what the business is transforming into to meet the expectations of customers, first, foremost and with urgency. For example, the received wisdom is that some people love online shopping, and some other people love the in-store experience. Newsflash – often the same person loves and wants to use both. Seamlessly. In an ideal world, customers want to buy fresh items in store, totting up other items they are seeing in-store on the app; paying for one set at the till and having the others delivered or picked up in hours. Or maybe doing a big shop on the weekend online but picking up the next two night’s dinners tomorrow in-store. From a customer perspective this is obvious, but no supermarket does it well. The technology is there, so why isn’t it happening? Businesses in general aren’t organised, structurally, in the way customers think. In retail, the in-store and online divisions make it hard to deliver an experience in the seamless way that a customer sees the brand. This is just the way the organisations have evolved, but it will now require a bottom up rethink to keep customer-centric and provide a consistent experience – which will in turn drive loyalty and basket size. In this instance, the danger doesn’t come from the discounters – while the Big Four get down in the mud on price, death comes from above in the form of Amazon. Price competitiveness comes from using its scale to sew up supply chain, at which point it sets the price, sets the standard for customer service, and toasts the competition. So, Sainsbury’s needs to think beyond the merger. Shifting business operations to meet customer habits and expectations requires dedication and an innovative approach to customer experience. The data boom of the past few years has been a significant step forward in customer relations for all brands and retailers. But this isn’t just about more data. Supermarkets that are scrambling to harvest data on their customers are missing a trick if they don’t connect with what their customers care about in the long-term. There’s now a fantastic opportunity for Sainsbury’s to understand the value of finding out who its customers are, what they look for, why they come back, and if they are getting what they want in-store and online. Engaging and reflecting their customers’ needs will be a major component in unlocking growth for all supermarkets as they look to 2019 and beyond.